Wisycom RF solutions are 'designed as best in class' to meet the highest demands within professional broadcast audio capture. 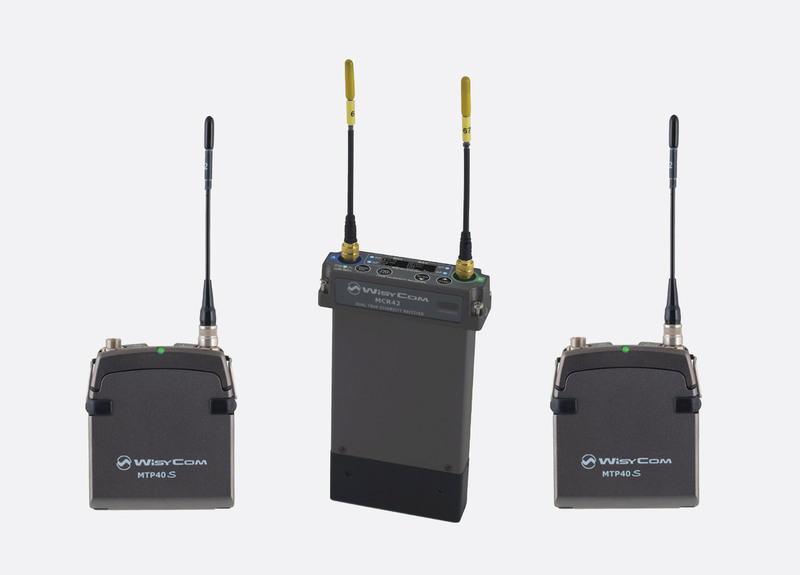 This range of wireless radio systems has been specifically tailored to suit the needs of film, television, sports, and radio broadcast, although not limited to those applications. 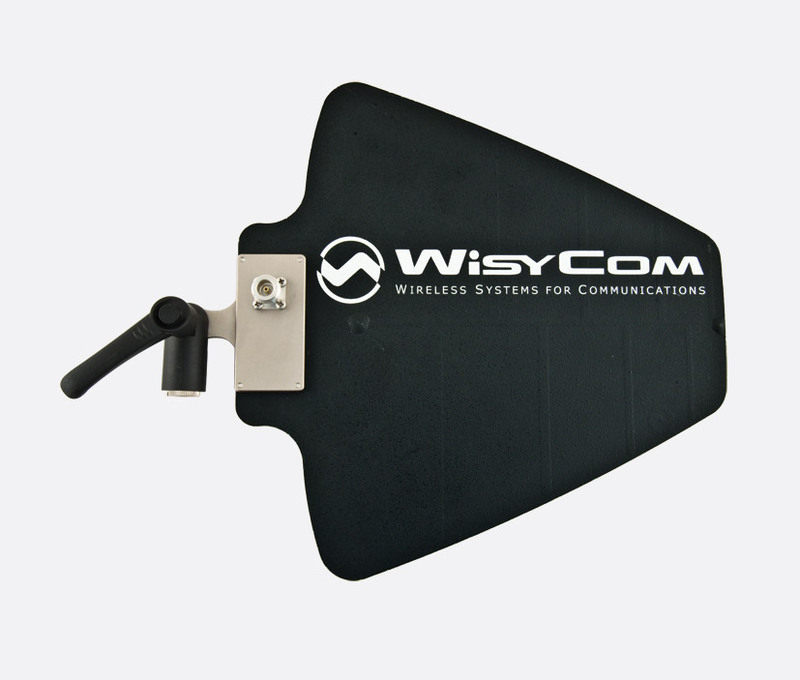 Wisycom have incorporated compatibility options to suit third-party microphone capsules and digital video cameras and with an operating bandwidth of up to 370MHz, one system will cover differing location bandwidth availability. This dual channel, true diversity, miniature, camera receiver operates on Band N (470 to 700MHz) and has a switchable bandwidth of up to 240MHz. Within this bandwidth there are 40 groups of 60 frequencies that are fully user programmable and frequency adjustment can be quickly applied by use of the one-touch function to scan and sync. Four buttons located on the front panel allow the user to switch between monitoring modes and menu options on the intuitive OLED display. 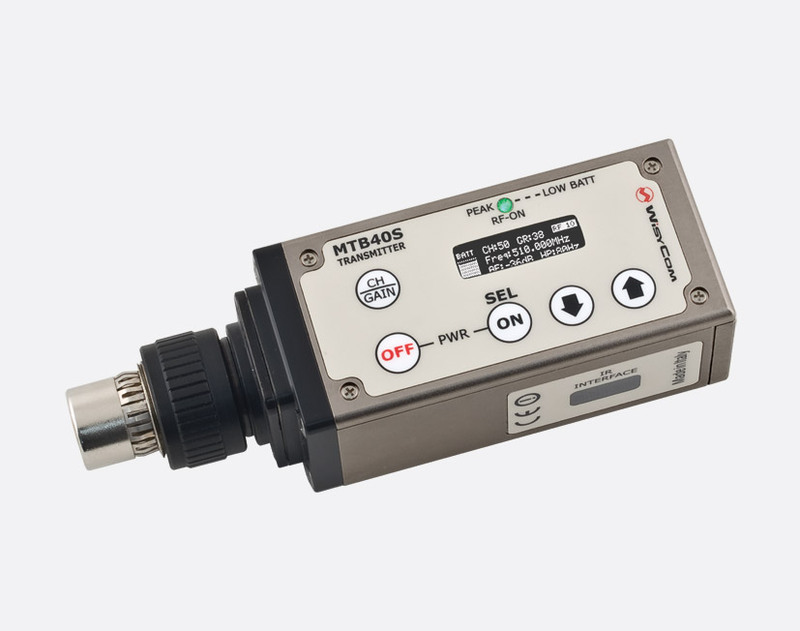 The MCR42S can be externally powered for constant use via Hirose connector when used with the BPA42-HPN or BPA42-PTT options, or via 5x AA battery cells when used with the optional BCA42 battery pack. The BPA42-PTT also adds the option of push-to-talk. SLK42 adapters can be added as an option to give compatibility with SuperSlot/Unislot hardware or Sony cameras. Available options: BCA42, BPA42-HPN, BPA42-PTT, SLK42-IKSS, SLK42-SX. Connections: 2x male, 3-pin, mini-XLR, 1x 3.5mm jack socket, 1x Hirose, when used with optional BPA42-HPN; 2x male 3-pin mini-XLR, 1x 5-pin mini-XLR, 1x Hirose, when used with optional BPA42-PTT. Powering: 5-18V DC (1.5W max. ), external; 5x AA cells, with optional BCA42 battery module. Dimensions: 115 x 68 x 18mm (h x w x d), 'slot-in' setup with SLK42; 68 x 18 x 135mm, 'stand alone' setup with BPA42. Weight: 180g. The MRK960 is a 1U, dual, true diversity, rack mountable, receiver with PTT (Push-to-talk) compatibility as an option. This option enables the audio output to be re-routed from the main/line output to the 'Com' line output when the PTT button is depressed on the associated transmitter. Each of the two receivers can work within a 370MHz bandwidth (470-840MHz) for greater flexibility, and there are 2400 switchable channels within 40 groups that are user customisable. Configuration can be accessed via push/rotary controls and menu displays, or remotely via USB or Ethernet with compatible PC and MRK960 Manager software. The remote software also includes a spectrum analyser mode, frequency calculator and embedded database for archived setups. Antenna inputs are BNC type female connectors and options of LNN1 and LNNA remote antenna are available. The 64 x 256 yellow OLED front display shows channel ID, group ID, AF, TX battery life, and squelch level amongst other things, and is duplicated for each of the two channels. Each receiver channel also has a bright 9-stage LED bar to show the RF signal for each diversity aerial, RF channel A/B indicator, and 9-stage LED bar with peak indicator for audio signal. Word clock in/out can be used when connected to AES3 connector (AES3 not available on Ethersound models). 90 to 253V AC power is connected via IEC inlet. Available options: LNN1 antenna, LNNA antenna. AF line output: Balanced 3-pin male XLR; +12dBu (3.1V RMS), output level; +20dBu (7.75V RMS), peak output level. Monitor output: 6.3mm stereo jack; maximum 6V RMS/150ohm, output level; 100ohm, impedance. Dimensions (h x w x d): 44 x 482 x 35mm, 1U rack mountable. Weight: 4kg. Power requirements: 90-253V AC, 50/60Hz. MTP40S is a compact and durable pocket transmitter that has been designed for professional applications such as broadcast, film and TV production and sports presenting. This unit has up to 232MHz bandwidth with 40 groups of 60 channels in its specific frequency range. 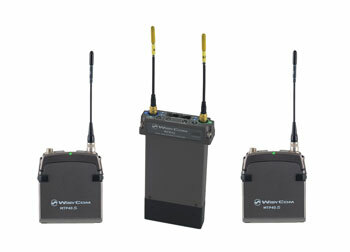 Available in either 470-640Mhz or 510-698MHz options, this body pack transmitter - powered by 2x AA batteries; can be linked to most microphones that terminate on LEMO connection, or via the optional PHA48 if +48V phantom power is required. Menus displayed on the 128 x 32 pixel OLED display can be accessed with a 'joggle' selector and dual buttons, which also help for quick setup. Bright RGB LEDs, visible when the battery and switch concealing hatch is either open or closed, display power, RF transmission, battery status (greater than 25%/ less than 25%/ less than 12%), and modulation peak. The MTP41S bodypack transmitter has all the functionality of the MTP40S, however it only requires a single AA battery to run and is therefore smaller in size and weight. AF bandwidth: 45Hz - 21KHz, 3dB; 55Hz - 20KHz, 1dB. Dimensions (h x w x d): 73 x 61 x 17mm, MTP40S; 73 x 56 x 17mm, MTP41S. Weight: 80g, MTP40S; 75g, MTP41S. Battery life: 14hrs at 10mW, 10hrs at 50mW, 7hrs at 100mW, MTP40S; 11hrs at 50mW lithium, 8hrs at 50mW NiMH, 4.5hrs at 50mW alkaline. The MT400 houses all the features of the MTP40S, however it is housed within a handheld microphone shaft with available options including the MCM304 custom Milab omnidirectional condenser microphone capsule and the MCM306 custom Audio Technica/DPA super-cardioid condenser microphone capsule. Dimensions (l x d): 183 x 22mm, without mic head. Weight: 260g, including MCM capsule (no batteries). Power supply: 2x AA batteries. Battery life: 11hrs at 50mW, 14hrs at 10mW. This plug on transmitter is designed to add wireless technology to most XLR terminated microphones, offering the same features as the MTP40S. 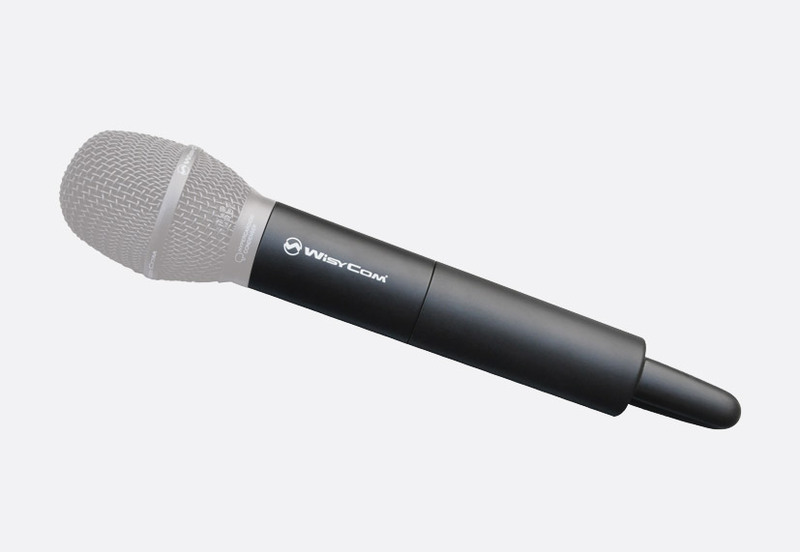 MTB40S can also supply +48V phantom power to microphones that require powering. Dimensions (h x w x d): 124 x 40 x 34mm. Weight: 210g without batteries. Power supply: 2x AA batteries.